What made the experience of listening to Working Stiff the most enjoyable? ALL of it. This book was super interesting. 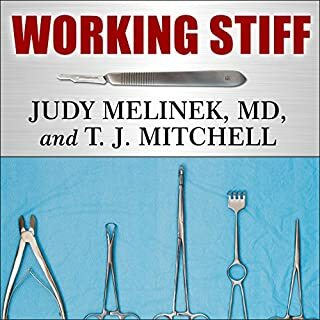 It features a hyper-career surgeon who realizes she wants some work/life balance, a great husband who loves to take care of the kids, and landing a job at the NYC morgue. There's so many interesting stories about how people die, and some of the chapters are devoted to a single cause of death - homicides, suicides, overdoses (30% or more of cases are overdoses), as-seen-on-TV construction site accidents. The good news is that we're unlikely to die a gruesome death unless we shoot, or shoot up, for it. The final chapters are about the NYC clean-up, as Judy's team processed all of the bodies from the World Trade Centers over the following weeks. The actual process, and the recounting of fire fighters and ordinary New Yorkers from the disaster, are worth the read. The final few chapters gave some insight into what investigating into an airplane crash wreckage must be like. She sounded a bit Valley-Girlish. Not unprofessional, just more the voice of a middle-aged friend at the mall telling you about their homemade organic cookies and taking their teenage daughter to soccer practice. I grew to enjoy the distinctive voice after a while, and it made the book better in the end because there was a juxtaposition between a female, gushy friendly voice reading a chapter all about internal organs. It worked though, because it was similar to Judy Melinek - a mother and doctor who happens to cut up dead people and find their secrets. Something about Tanya Eby's voice made the awkward scenes more hilarious. 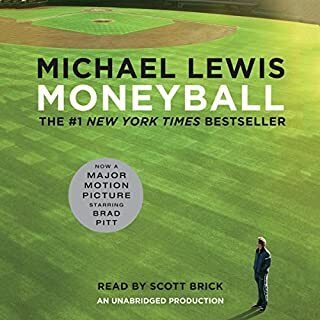 I thoroughly recommend this audiobook. It's like if Tina Fey were a medical examiner, dealing with death on a daily basis. There were a lot of moments that I found myself relistening to, or that I had to retell to the people around me. I'm sure they thought I was a bit crazy as I talked of homicides and suicides for that week. I listened through the book pretty fast - I couldn't put it down. This book is probably not for everyone. If you like watching CSI, don't mind a dead body on TV now and then, and are okay with life's farts and falls off of a twenty-story building, then you will LOVE this book. If that stuff makes you squeamish, don't listen. Personally, I'm hoping for a sequel or two or three. Please T.J., write more! 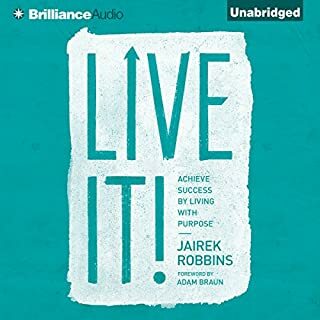 Where does The Practicing Mind rank among all the audiobooks you’ve listened to so far? It's a good book, good self development nonfiction. It is a short read, so you can finish it in a couple of hours. 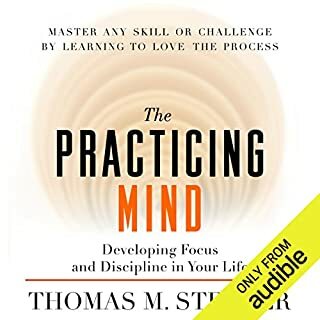 What other book might you compare The Practicing Mind to and why? This book was a good book to read right after reading Think and Grow Rich by Napoleon Hill. Napoleon Hill wants you to reach your extraordinary potential, and this book has smaller aims (becoming the best you can be at a skill, and enjoying it in the process), but they pair well together. This is also a good book for parents wanting to instill good mindsets in their children. What about Thomas M. Sterner’s performance did you like? Sterner has a lot of personal experience with practice, and he anchors his story around his knowledge of practice. From his piano lessons, to learning to play golf in adulthood, to attending college classes as a returning adult, and his career as a piano tuner, Sterner had a lot of tips about practice that I knew, but hadn't verbalized yet. I enjoyed the author's viewpoint with practicing and his research into the subject of practice. This was not a book published for academia's sake. It was a book that felt like you invited your close friend who is excellent at running and picked their brain on the subject, and they turned it into a book all about the theory of running. Only instead of running, Sterner is a life-long lover of practicing. His writing style is more that of a friend and advisor than a know-it-all professor, and I appreciated that tone. This reads like a young person's journey to discover himself and become a self-help coach. As such, there's a lot more relatable stories to young adults than someone who's been married and had kids, and has been "successful" for the past twenty years already. It's more about the beginning of the journey of defining your priorities and starting the life you want to lead. He discusses moving countries, living in the third world, working jobs as a teenager, and exploring the possibilities of his "authentic self", and making mistakes along the way. One was almost lethal. I feel like this book should be marketed as a Young Adult book. It would have been an excellent read in college, for students on the leadership track who are afraid of high expectations for the future. It reminds us that it's okay to move cities, sleep in a room without a door, work for a moment in a job we dislike, if these are the first steps to getting out from other people's visions of us and building the life we want to lead. It's like a SparkNotes, young adult version of Stephen Covey, Napoleon Hill, etc. It is also helpful at calming you down and reminding you that you don't need to chase "success" in a field you aren't interested in. That's actually misery disguised as success. The beginning chapter of audio has some tin can quality to it, but it gets better. The author is a good narrator, very enthusiastic and contemplative. This book was simply bought "for later", but once I sampled it I couldn't put it down. Good book for managers and project-driven professions. It helps you have breakthroughs in your thinking. 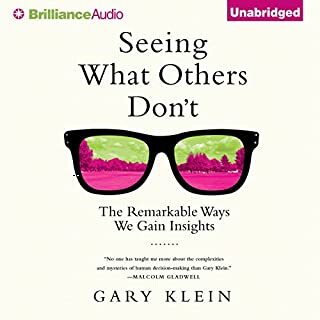 The author analyzed 130 insights to see what led the person to discovery - was it creativity, seeing connections, spotting a contradiction? He goes through many of these stories (good, so you can recognize similar situations in your own life, but also boring, like he's doing a book report on many life incidents and also referring back to them). This caused the book to become boring at times. Helpful, but boring. I felt like I was listening for professional development's sake, not because it was also a fun listen. I definitely had a few takeaways from this book. One is the idea of the "up arrow and down arrow." We focus too much on not making mistakes, without rewarding riskier efforts to improve our situation. That improves our current situation, but doesn't allow room for advancement. Encouraging creative improvements will improve a business, even if the new ventures and products result in a few kinks that need ironing out in the future. What did you like best about Mirette on the High Wire? What did you like least? I tried liking the audiobook, but it honestly couldn't hold my attention. And it's a children's book, so it's supposed to be simple and captivating. I succeeded the most at getting through the ten minute story when I had the beautiful painted scenes of the Mirette & The Highwire picturebook in hand as I read along to the audio. But at that point, what's the use of the audiobook? The reader has a stilted (elite, but not necessarily British) accent, like a Julie Andrews, so she'd be great for a book about nannies who make you take your medicine but also fly using umbellas. Unfortunately, in this book her pronunciation of words made the audio less crisp and not easy to follow along (like watching an old BBC British show), and just resulted in odd pronunciations of simple words, like "Moscow". Furthermore, she used a second accent for all French foreign words, like they were being said by a toy poodle that speaks French rather than a more authentic French. I don't think that French people all talk with their mouths barely open and just their tongues moving. Mirette is a great story about having dreams and making them come true, just don't expect to be captivated by the audiobook. What three words best describe Jennifer Van Dyck’s voice? 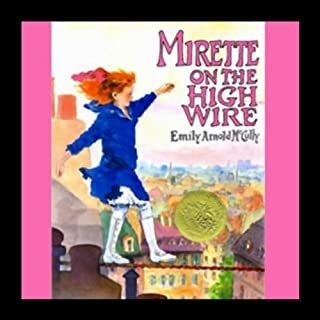 Could you see Mirette on the High Wire being made into a movie or a TV series? Who should the stars be? Yes, but they'd have to add a lot of artistic liberties since this is a ten-minute book.